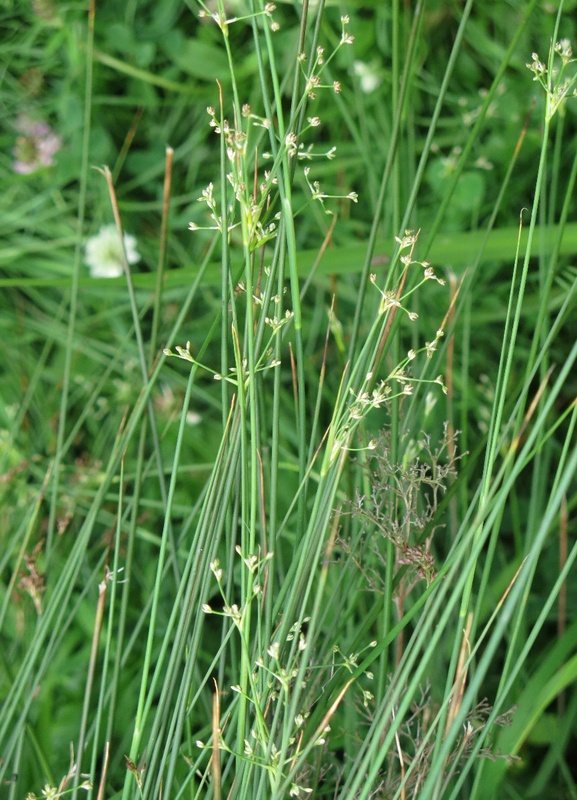 It has far creeping rhizomes that produce extensive patches, with erect, soft bright green smooth stems. 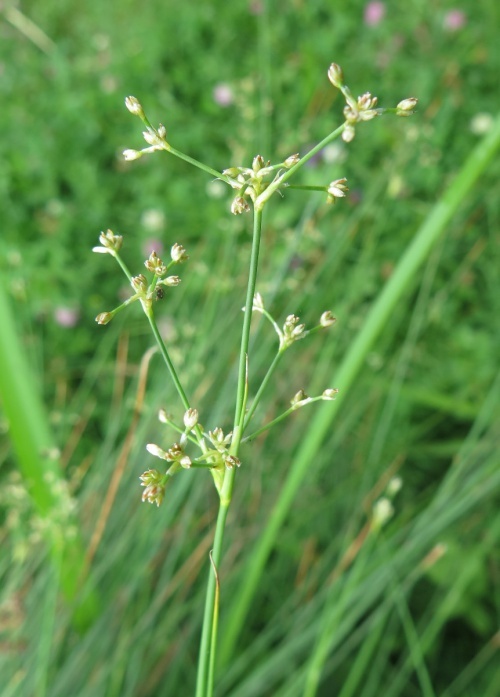 Each stem has 1 or 2 long leaves which are round and hollow with both longitudinal and cross partitions, whilst the stems have cross partitions only. Inflorescence stiff, forming an open, rounded, repeatedly branched head of many long stalked forking flower clusters. Occasional and local in England and Wales becoming very scarce in parts of Scotland. Uncommon in Leicestershire and Rutland. In the 1979 Flora survey of Leicestershire it was found in 19 of the 617 tetrads.